Struggling California EV startup Faraday Future was dealt a potentially crippling blow on Thursday, according to a press release from its main investor and confirmed by a person familiar with the matter. The arbitrator in Hong Kong that’s sorting out the company’s fight with its main investor ruled against a motion from Faraday Future to loosen the grip that the backer, Chinese real estate conglomerate Evergrande, has on the startup’s intellectual property and assets. Faraday Future was seeking this specific relief from the arbitrator because the company believed it would enhance the chances of receiving a lifeline from a new investor, according to the person familiar with the matter. But without any assets left to offer up as collateral, and with Evergrande still holding the reins, the people in control of the company were now scrambling to figure out what other moves might be available in an emergency meeting held Thursday, this person said. Faraday Future was hoping for a victory, with some people inside the company viewing it as crucial to survival. The urgency comes from the fact that Faraday Future is almost completely out of money. Faraday Future only had $18 million in cash at the start of September, according to recently publicized court documents. That was more than a full month before the company’s fight with its investor became public, and well before it had to resort to salary cuts, layoffs, and furloughs. Even with those reductions, Friday’s paycheck is the last one the company can afford, even at reduced furlough salaries, as The Verge previously reported. And there’s only enough cash left in the bank to keep the lights on until the second week of December. Representatives for the company did not respond to a request for comment. Lawyers for Evergrande could not be reached for comment. Faraday Future started out the year on a high note, having escaped from near-bankruptcy after finding a then-unnamed eleventh-hour investor. It was eventually made known that Evergrande had pledged $2 billion to the California-based EV start up, with $800 million being delivered upfront and the remaining $1.2 billion to be dispersed across 2019 and 2020. Once again flush with cash, Faraday Future began tooling up a factory in Hanford, California, and set a target of December 2018 for production of the first models of its luxury SUV, the FF91. But because Evergrande’s investment had come at a time when Faraday Future was backed into a corner, the Chinese conglomerate (which is run by one of China’s richest men, Hui Ka Yan) received very favorable terms in the deal. In return for the investment, Evergrande wound up with a 45 percent stake in the company, and Faraday Future also pledged its intellectual property and most of its hard assets as collateral. The fight between Faraday Future’s CEO and the investor became public in October, but started in the summer. This fall, Evergrande announced that Jia Yueting, Faraday Future’s CEO and one of three co-founders, had spent that $800 million by July. The conglomerate also accused Jia of trying to break the deal. This set off a public back and forth between the two sides, which resulted in the conflict being brought to an arbitrator in Hong Kong (where Evergrande Health, the subsidiary that technically made the investment, is located). Evergrande claims it was never fully convinced that Jia adhered to either of those terms, and so it never sent Faraday Future any new money. In turn, Faraday Future started racking up new debts with suppliers, and the company’s problems quickly escalated from there. In October, the company laid off a few hundred employees, and announced salary and wage cuts across the board. A number of key, high-profile executives — including one of the other three co-founders — resigned. By the end of October, Faraday Future decided to furlough hundreds more employees, and kept about 600 onboard at drastically reduced pay. Evergrande said it would have advanced Faraday Future more money if Jia stepped away. Since then, Faraday Future sued Evergrande in US court claiming that the conglomerate is “deliberately starving” the startup into bankruptcy in order to make off with its IP and other assets. A group of Faraday Future employees has also sued Evergrande making similar claims. Last week, the Trump administration mentioned Faraday Future as an example of how Chinese companies often invest in US companies with ulterior motives. Similar allegations were previously lobbed at Jia, who treated Faraday Future like a subsidiary of his own Chinese tech conglomerate, LeEco, when he still controlled that company. He had Faraday Future employees work on LeEco’s own electric car program, and the two companies once had “agreements in place to share specific IP and technologies,” according to the company. Jia has since been largely pushed out at LeEco after his assets were frozen by the Chinese government. He’s lived in the US in self-exile since last summer, and has been named on a Chinese government blacklist as well. Multiple current and former employees, who spoke on the condition of anonymity because of nondisclosure agreements with the company, have told The Verge that Jia would rather run Faraday Future into the ground than relinquish any control. The case between Faraday Future and Evergrande is still in front of the arbitrator, but in the meantime, the startup filed two different requests for emergency relief over the last two months. The first one was granted, and allowed Faraday Future to seek up to $500 million in outside funding separate from the Evergrande deal. The second was the one that was denied on Thursday. 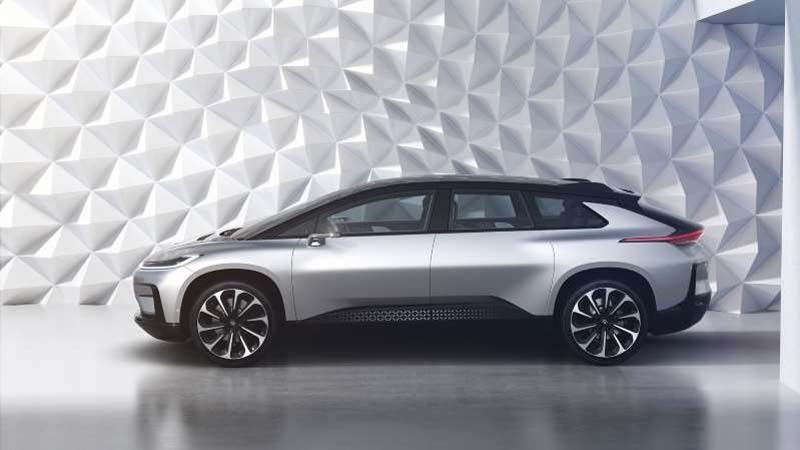 Faraday Future has said in recent weeks that it was drawing interest from investors, but it’s now less clear if the company will be able to entice new backers as long as Evergrande has a line on the company’s assets.